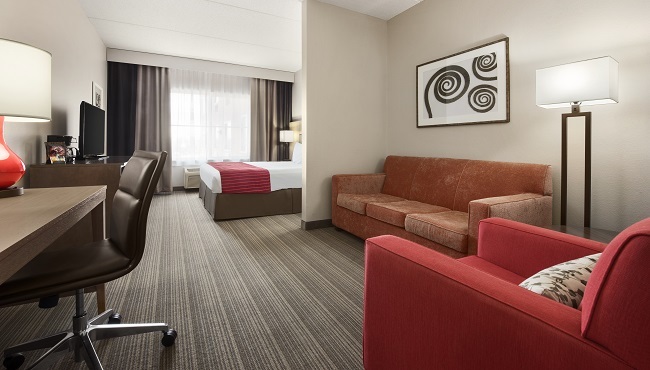 After a day at Lake Superior, settle into your stylish accommodations at the Country Inn & Suites in Duluth. 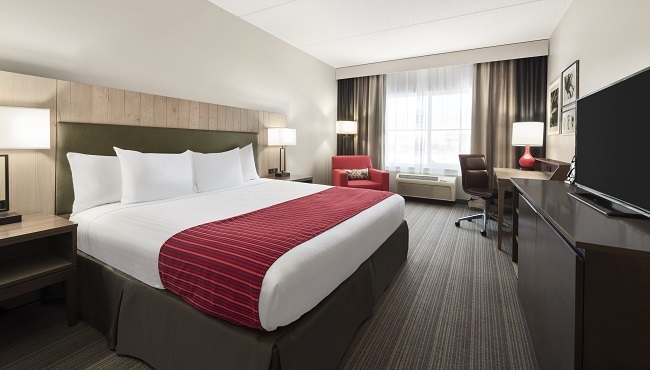 Each of our 83 rooms includes free Wi-Fi so you can share photos of your adventures in Hermantown before you unwind in front of the TV. 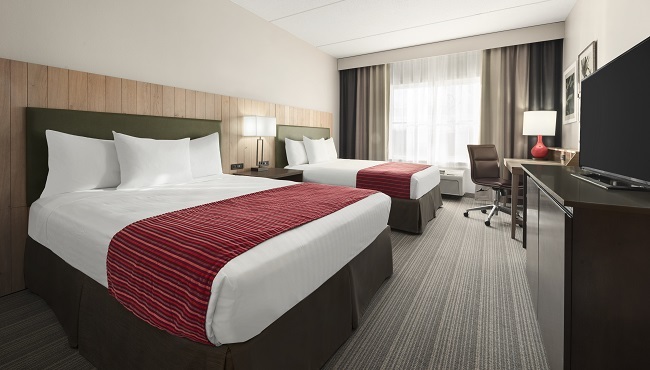 Sink into plush bedding while you enjoy a snack from the in-room microwave and refrigerator or a cup of java from the coffeemaker. Traveling with a pet? 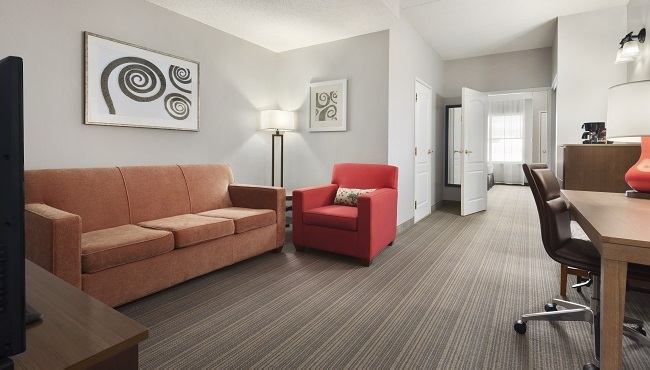 We have a select number of pet-friendly rooms available for a small fee. These practical rooms offer the choice of one king bed or two queen beds, as well as plenty of space to kick back and relax in front of the TV or with your laptop. If you need additional room to lounge during your stay, reserve one of our Studio Suites, which come with perks like a sleeper sofa. This suite offers a choice of one king or two queen beds. 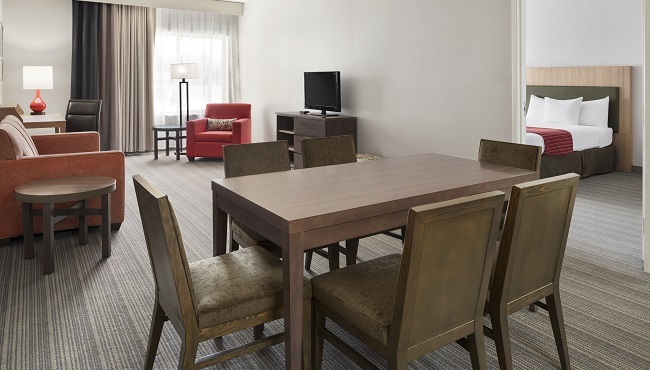 An excellent choice for families or groups traveling together, our One-bedroom Suite offers plenty of space and privacy plus two TVs. Joining us for several days? 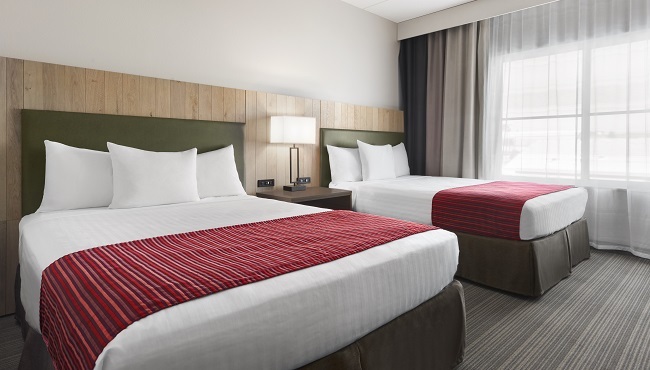 Take advantage of the extra-spacious rooms and handy kitchenette in this accommodation option.